It’s way too early to call the Apple Watch a smash hit, but within minutes of the preorder kickoff at 3:01 a.m. Eastern, many models slipped from an estimated shipping date of April 24-May 8 to sometime in June. Now all Watches are sold out for the next 4–6 weeks. If you were waiting to preorder until you could try one on in person, you’ll have to wait awhile to deck out your wrist in gold (or fluoroelastomer), and there’s no option to pick up a Watch in-store for now. Apple said Thursday that it expected demand for Apple Watch to be high and supply to be limited, which is why the company is only selling the device online in its early days. It’s unclear just how limited the supply of Watches is or how high demand is, but it didn’t take long for specific models to sell out. One colleague ordered his 42mm space grey Apple Watch Sport with black band four minutes after preorders opened and his shipping date was May 13–27. 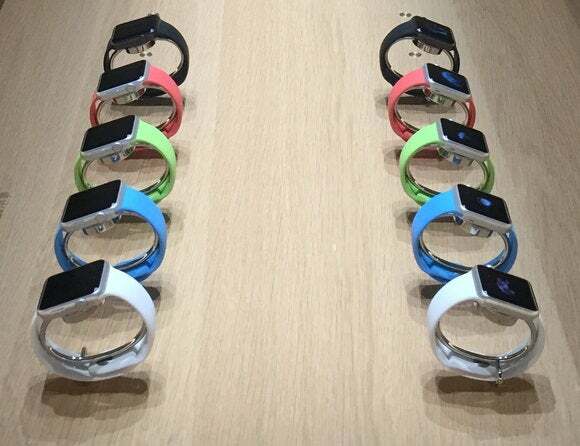 Macworld’s Leah Yamshon and I both placed orders for the 38mm Apple Watch Sport with white band as soon as preorders opened and are expecting our Watches to show up between April 24 and May 8. Aside from selling out, the Apple Watch preorder experience seemed to go smoothly with few or no glitches. 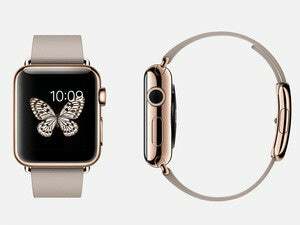 I had a tougher time booking an appointment to try on the Watch in store than I did placing a preorder. Some of you already shared with us which model you bought, but if you haven’t, we want to hear from you. Let us know in the comments how the preorder process went, and which Watch you picked.